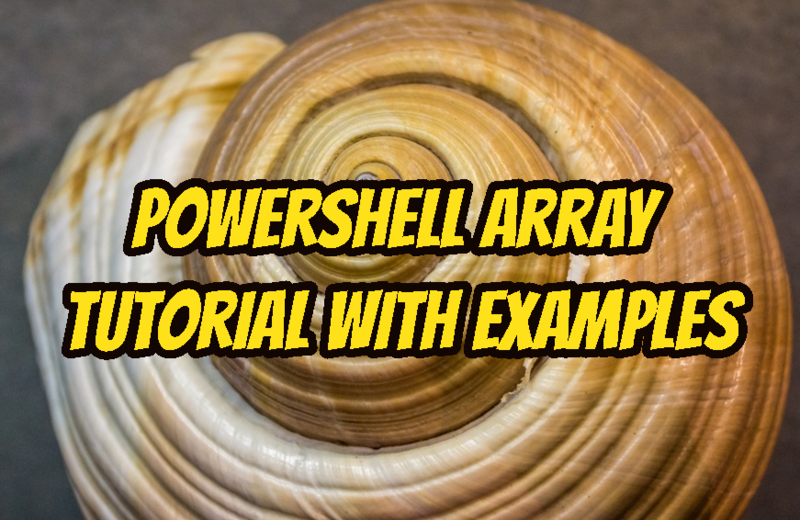 Powershell arrays are used to store a collection of elements in a single variable. These elements do not to be the same type and declared in different ways. We will start with a simple example where we will create an array by providing the items. Items will be delimited with the comma. The array definition will start with a dollar sign $. We can see that different type of elements like integer, float, string is used to create an array. We can create an array by providing a range with a start and end number. The intermediate values will be created automatically. We will use parenthesis and two points between the start and end number. In this example, we will create an array with a range from 1 to 10 like below. We can create a numeric array by specifying the numeric array elements one by one. We will create a numeric array with even numbers like below. It may sound a bit non-sense but we may need to create an empty array. We will use @() in order to create an empty array. As Powershell is a scripting language the provided element values will be interpreted accordingly. This may create some confusion during the creation of array type. We can create a strongly typed array by providing the array type like an integer. In this example, we will create a strongly defined integer array where the elements will be only integer values. As the problems become more complex we may need to use Multi-Dimensional arrays to express and solve complex problems with complex data types. We will use @ sign and parenthesis in order to create multi dimension arrays. One of the most used operations is adding an element or item to the existing array. We can use += or Add() function in order to add new element. For example, we will add 5 to the existing array. We can also use Add() function to add 5 to the existing array named myArr like below. As array elements are stored in an indexed way we can print specified item by providing its index. In this example, we will print the second item in the array myArr. Keep in mind that index starts from 0 in Powershell. So index 1 will be the second item in an array. We can use index number in order to change given array specified element. In this case we will set index 1 as 100 like below. If we need to get a range of item from an array we can use .. and provide the start and end index values. In this example, we will get range between 2 and 4 . We can return all items of the given array in different ways the most basic way is just providing the array. Arrays have length according to the count of the elements. We can get the array length information with the length option like below. In this case our array named myArr is 4 . If we need to get the last element of the given array we will use the negative index which means start from the last position. We will use -1 like below. As we can create multi dimensional array we may need to get an element. We will provide multiple indexes according to dimension count. For two dimension we will use  like below. We can use -eq to check whether an array has specified item value. In this example, we will check if myArr has the value 10 like below. How To Reset Git Head?